The Scoop: Nintendo Switch is still one of the most popular consoles of the year. With its amazing mobility, its no wonder that people love being able to play their games anywhere anytime. Check out the popular indie games on Nintendo Switch that you can play. We have reviewed the best games that you shouldn’t miss out on playing from the console. However, did you know that most of the best-reviewed games from Nintendo Switch are indie games? So why not try these indie games on your Nintendo Switch and join the many satisfied players from all over the world! Here are the most popular indie games on Nintendo Switch. 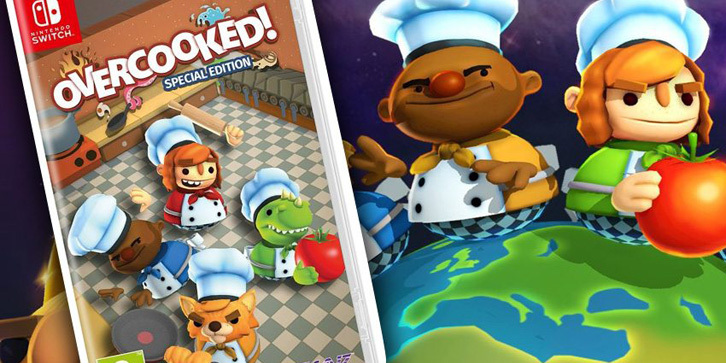 Overcooked is a cooking game that can be played solo or with your friends. I have played this on PC before and I really recommend playing it with a friend. Other than “the more, the merrier”, the game is hard to play alone unless you have super fast ninja skills and crazy time management talents(all I’m not good at). Since this is best played with someone else, not to mentioned tailored to fit Nintendo Switch and its detachable controllers, the console is perfect for this game. Steamworld Dig 2 is the sequel to the highly-acclaimed Steamworld Dig. This is a Metroid-inspired, side-scrolling exploration game that is mixed with the strategic spelunking from Dig Dug. If you want a side-scroller game loaded with challenges and charming graphics, then Steamworld Dig 2 is a game for you! Celeste may be a difficult game once you look at it. However, don’t let the environment fool you. Underneath all that intimidating graphics and game placements, Celeste is actually pretty simple. The graphics are stunning, the music is remarkable that you and the story is spot-on, you won’t want any other. Yep, you guessed it from the title. Gold Story is a golf game with a healthy mix of RPG and a dash of a charming story. Be the talented wanna-be golfer and get your character reach the heights of fame and success as you win each and every golf game. However, you may want to learn how golf works if you don’t know about the sport in real life since the game is a line between real golfing and arcade golfing. Kamiko is a puzzle and action game where you get to play as one of the priestesses to defeat the demons that invade the land. Get to each of the gate going to the next stage and to bosses by solving puzzles as you hack your way through enemies. If you want to play without the stress and just want some simple fun Kamiko is the answer. Ready for Your Indie Gaming Session? Nintendo Switch’s popularity shows no sign of slowing down. Since there are many people who wanted to get their hands on new game consoles, that also means that games for the console are very high in demand. That is also the sign that there will be more games for the console coming. So what indie game are you planning to get your Nintendo Switch? Love games and technology? Read up for more of these articles here!